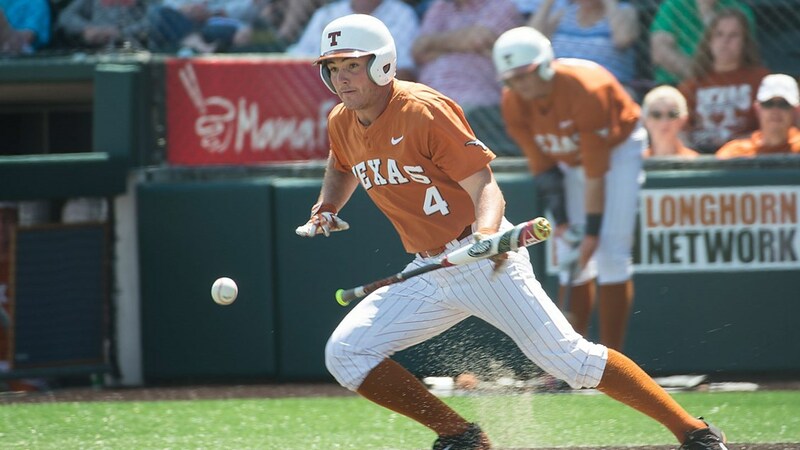 Tate Shaw's double with two outs in the bottom of the ninth inning drove in the tying and go-ahead runs to help the Texas baseball team complete a three-game sweep of visiting Xavier Sunday at UFCU Disch-Falk Field (photo courtesy of texassports.com). AUSTIN, Texas — Redshirt senior first baseman Tate Shaw drove in two runs with a double in the bottom of the ninth inning to give the No. 13 Texas baseball team a 6-5 victory over Xavier at UFCU Disch-Falk Field.